You all know that I love my parent's farm and love taking zillions of pictures there! We recently had a great weekend up there and I wanted to share some pictures with you of what the farm looks like in the fall. The leaves changing colors is late in Michigan so the leaves haven't changed in these pictures yet. We are very blessed. 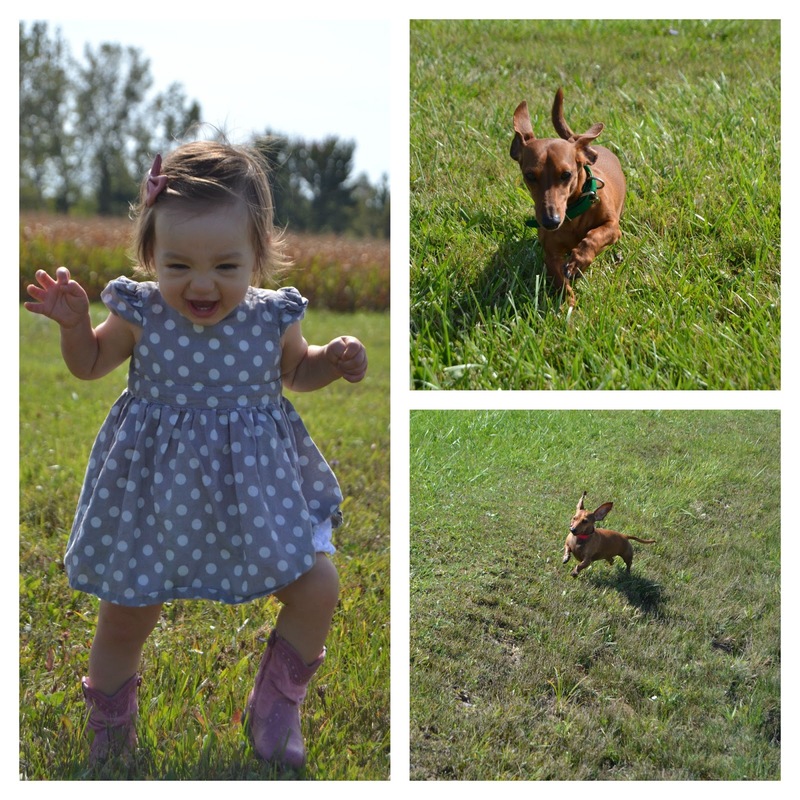 Pictured: crazy dachshunds, Dad's homegrown grapes, apples and peaches, tractor rides with grandpa, pretty flowers and parents who are in awe of their amazing baby girl!